From Matched Betting to Betfair Trading: Does It Make Sense to Switch? Once you have enjoyed some success with matched betting techniques what comes next? Do you just carry on winning in the same way? Is there something else you should try next? In this piece I’ll be discussing progressing from Matched Betting to Betfair Trading. I should tell you it’s the best thing ever, wack an affiliate link up to some Betfair products and I’d make a fortune. However that’s not how I like to operate. Make sure you read the full article as I cover both positives and negatives. You might ask if there is a natural progression you can make after success with Matched Betting. Something that will win even more money? Finally, you might wonder whether it is time to make the switch to Betfair trading. The idea of going from matched betting to Betfair trading is a common question I hear asked these days. People often wonder whether trading directly on a betting exchange is better for them. The truth is that this is an extremely difficult transition to make. Most people who try go from winning money to losing it. So, what are the main reasons for doing this or not doing it? What is the Difference Between Matched Betting and Betfair Trading? With matched betting you are simply taking advantage of an easy to follow process. You just take advantage of special offers by placing bets that are likely to win every time. It’s all based on basic maths and it works well. This is something that anyone can do with the right tools. Websites like Profit Maximiser will tell you exactly what to do at all times. So, there is no betting knowledge needed for you to get started. In fact, it isn’t really like gambling at all. It is an unfair advantage that you get over the bookies to help you to win. You simply can’t lose if you follow some simple instructions to the letter. On the other hand, Betfair trading is a good deal more complicated. You will come across a number of different situations. In these cases you need to try and find the way to get a profit. There is no easy profit to be skimmed here. It is hard work as you try to win money. There are no quick wins to be grabbed with no risk in this method. There isn’t even a strategy you can use to make £5 a day with! As with matched betting, you can get a helping hand by finding a trading expert to train you. However, it takes a lot more time to get to grips with. You really need to commit a decent amount of time to this. I’d recommend at least 12 months trading with the minimum stakes. With Betfair trading, your biggest problem is that the odds are so efficient. Let’s look at this in more detail in the next point. 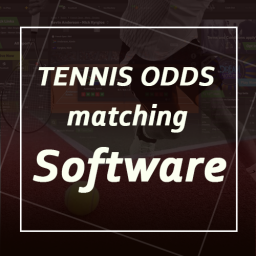 Why are Betfair Odds So Efficient? 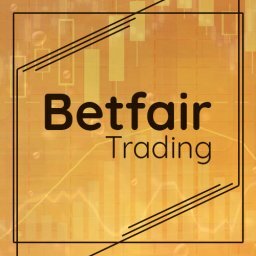 The first difficulty with moving to Betfair trading is with the odds. They are just so efficient. Why is this? Well, that’s down to the wisdom of the crowd theory. In each market you have hundreds of users placing bets. This collectively forms the “fair” probability (odds) of an outcome through their opinions. This in turn means that Betfair trading is extremely difficult to do profitably as it’s hard to gain any edge over the market. Yet, matched betting takes this efficiency and produces strategies that make money for you. For instance, Each Way Sniper, Profit Maximiser sports refunds and Bookie Blowout can all work wonders. These systems all follow the Betfair lay odds blindly to see if there is any value in the bookmaker odds / bonuses being offered. They are also extremely profitable when used correctly. Overall, you aren’t reliant on finding value Betfair odds with matched betting. This approach sees you take advantage of bookie deals to make money. Because of this, you won’t feel the squeeze so much when the odds are tight. Betfair is a betting exchange site rather than a traditional bookmaker. What difference does this make? Well, this type of exchange is designed to be a zero sum game. What does this mean, though? Well, it means that all of the punters’ wins and losses should add up to zero (less any commission paid on winning bets). If you had people sucking out large amounts of money the exchange system would not work. Because of this, it is difficult to make decent profits from it. If you make the switch from matched betting to Betfair trading then you will soon notice the difference. There are generally tiny profits to be won on here. You also won’t win every single time. Unless you have a big bankroll you could easily run out of cash before you start getting good wins in your account. Ask any professional trader what their profit on turn over is! Something on the lines of £1 profit per £100 traded. And they’ve spent years mastering how to achieve that. Matched betting doesn’t have this problem. In a lot of cases, you are betting with free money from the bookie. The Betfair lay bet is a way of ensuring you don’t lose money but it isn’t your only way of winning. If the bookie is offering good odds then great. You have the chance of a bigger win. What about the charges that eat into your winnings? This could come as a nasty surprise if you aren’t prepared for it. You may think that Betfair winnings are only subject to 5% commission on winning bets. In fact, there has been a lot of negative publicity lately about the tax that you need to pay at Betfair. When you have a winning run this can really eat into your profits. It is kind of difficult to understand how this charge is worked out. So let’s go through an example. We need to start by looking at the £1,000 lifetime allowance that you have. So, you pay a charge once your account has made £1000 NET profit. You also need to have bet on over 250 markets. In addition, the charge kicks in when you are in overall profit since starting your account. Finally, you need to have paid under 20% of the lifetime profit figure in charges until then. If you meet all of that criteria then the premium charge will start to be levied. It is taken off your winnings automatically. It might not seem like a huge amount at first. But if you are planning to make a good living from betting then these charges are a blow to your profits. Let’s say that you won £500 in a week. The premium charge would be 20% of that (£100) minus the commission paid that week. If the commission paid is £20 then your overall profit would £500-£20 commission-£80 charge= £400. The highest percentage that you need to pay is when you have profits of more than £250,000. This can go up to a staggering amount of charges. Indeed, the highest charges are an eye-watering 60%. This will really put a dent in the profits you make if you go from matched betting to Betfair trading. 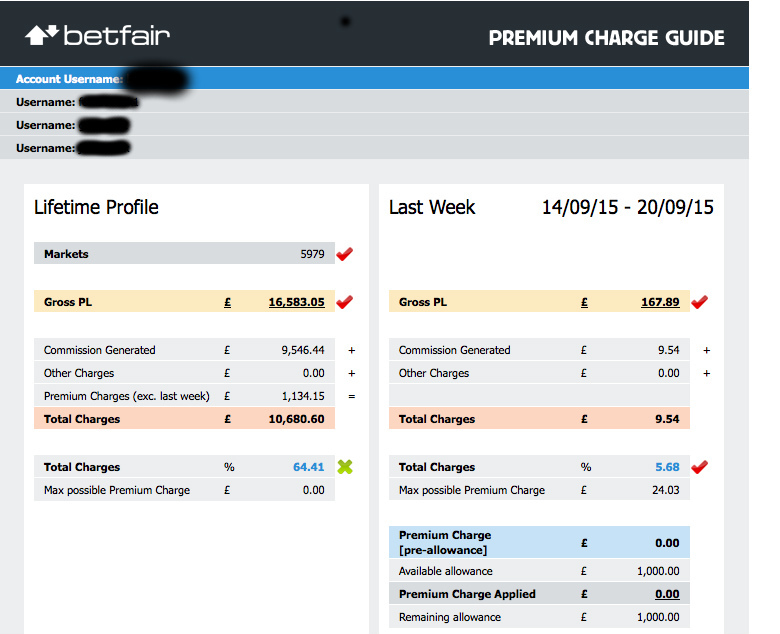 A lot of customers are reportedly turning away from Betfair because of these charges. Others try to get round by opening multiple Betfair accounts. Yet, the exchange works very hard to find people who do that. If you rely solely on trading then you will grow to resent these charges. A potentially brilliant week can really have the gloss taken off it by charges. I can tell you from personal experience that tax is something that stops you becoming rich. In the case of Betfair, I’m sure adding a 20% tax on your weekly profits will kill off any edge. On the other hand, with matched betting you win sometimes with bookies. Other times, it is the Betfair bet that wins for you. So, you are far less subject to this premium charge. Since bookie winnings are charge-free, you will be a lot closer to creating pure profit with matched betting. One quick point to make. You don’t need to worry about premium charge with Matched Betting. Since the value comes from the bookie odds, your exchange will always be down over a large enough sample of bets. Don’t believe me? Go and take a look at your Betfair profit / loss figures over the last few months. Are All Betfair System Sellers Charlatans? No, at all. They are many excellent system sellers out there who will guide you through the process. These are set up by people who run a business but who also want to help others to win. In fact, you will see a number of reviews of Betfair systems on this site. I have looked at them fairly and objectively in each case. Some are better than others but none I have looked at are frauds or scams in any way. These systems are interesting and most are well thought out. You can definitely win money in this way if you are willing to spend time learning. Most of them are also fairly priced for what they offer and what you can win. However, this isn’t all that there is to it. The problem is most people signing up are expecting guaranteed profits and fast results. A Betfair system seller can’t produce magic. They can only show you the way of maximising your profits in the way that think is best. Indeed, they will often advise on their sites that earning in this way is hard work. It does take a while to learn these systems and not everyone wins with them. However, I believe that the ones I have looked at have been fairly and honestly put together. Is Mike Against Betfair systems Because He Sells Matched Betting Products? No. This isn’t about my opinion. I am simply looking at the subject of moving from matched betting to Betfair trading from my experience. Like I said at the start of this article, I could have just stuck an affiliate link to several different Betfair products and say crack on! I’d have made a small fortune doing that. Lots of people ask me if this is the right path to take in order to keep on winning money. My honest opinion is based on my betting and from speaking to hundreds of people about it. This is that matched betting is better. I don’t expect everyone to have the same opinion. Anyone who has enjoyed success with trading is likely to be enthusiastic about it. I have simply looked at the chances of anyone getting started and winning with either approach. Believe me, if I thought that trading was better I would offer trading systems instead. What about Betfair Sniper, 1% club and Matched Bettors Exploit? The truth is that these are all very niche mini-systems. You can definitely win some decent money in this way, for sure. In addition, these are small profit wagers. You should expect to win £10 per bet on them if you carry out the system properly. You aren’t going to win a fortune every week in this way. Also they aren’t guaranteed to win every time. All of this means that you can’t expect to replace your matched betting income like this. Quite simply, I believe that there is no better way of getting a regular, low risk income than with matched betting. You can add these other systems in as extras, to boost your earnings and add variety. But matched betting should be at the heart of your betting activity. Don’t you ever think that ideas like these are just too good to be true? Why isn’t everyone picking up free cash in this way? Does this mean that there is something else you need to know about? 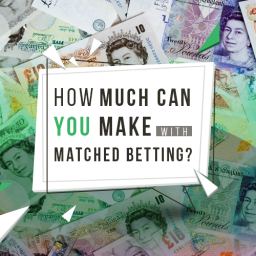 If we start with matched betting, then why doesn’t everyone do it? After all, we have seen that it is the best way of guaranteeing a profit. Surely anyone who looks at this idea will be tempted to try it? It is also very low risk. There is no need to think that this is a decision that could backfire. You can breathe easily knowing that your own money isn’t at risk. Yet, it is still limited to a relatively small group of punters. Why aren’t more people taking advantage of this incredible way of making money? There is definitely more publicity about matched betting these days. So more and more people know about it all the time. Well, perhaps this comes down to the perceived hassle of opening dozens of accounts. Then you have to deal with bookies and try to avoid them gubbing your account. Does it seem like too much fuss and effort? This may be especially true if you already lead a busy life. Yet, just about anyone who has tried it will know that this is worthwhile. 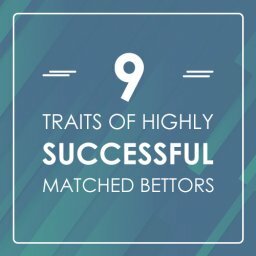 Most people who attempt matched betting will make enough money to make it worth their time and effort. However, the same can’t be about Betfair trading. For a start, it is a lot more difficult to do. Getting started takes time as you need to learn a lot of strategies right away. Then there is the fact that you won’t always win. Anything that is an effort is a lot easier to keep going if you win every time. If you try trading and lose then maybe you will give up fairly quickly. Who Should Attempt Learning to Trade? Naturally, some people will do well at Betfair trading. This is an approach that has helped to make money for a number of smart traders over the years. Is it right for you to make the switch, though? Is it time to go from matched betting to Betfair trading? Perhaps you will want to give it a go if you have a burning passion for learning new skills. Maybe you will do whatever it takes to earn money in new ways. If so, then you should certainly give it a try. It may work out well for you or it may not. You can’t be completely certain unless you try it and see what happens. The idea to bear in mind is that you need to know more than the rest of the market. This means putting in the time to study it well. The more you know the better your chances of winning money are. If you are prepared to spend 12 months learning with low stakes then you may well succeed. The best way to approach this is understanding that it’s not guaranteed and no matter what courses, books or software you buy it’s going to take time to master. However, you should also be prepared to learn the hard way. It is highly likely that you lose money before you start winning. It can take a long time to start seeing profits. If you are someone who is determined and will stick at it then this persistence will come in handy. In addition, you need to remember that the Betfair markets are constantly evolving. So, you should be prepared to keep on updating your strategies. You can’t afford to rest on your laurels. 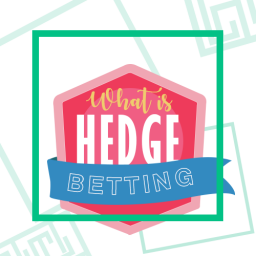 Who Should Stick to Matched Betting? This is a solid, dependable way of making money. If you want to keep on winning time after time then it is right for you. After the initial set-up time, it is also fairly low maintenance. Once you have your bookmaker accounts set up you can just look for suitable bets each day. This means it is a good option for someone who wants to win without any fuss. It is also the most secure way of winning. If you just need a sensible, easy way of earning money this will do the trick. You won’t ever get bored of earning risk-free cash from the bookies, will you?If you ever want to add some extra spice to your days then this can still be done. Look at matched betting on different sports. Or look at using casino bonuses using the same techniques. 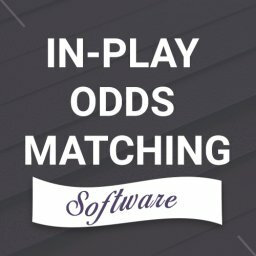 For the majority of people reading this I’d recommend sticking to matched betting. Avoid wasting time learning about trading on Betfair. Stick to what’s proven to work and you can’t go wrong. However, as mentioned earlier, do you have a burning passion to make trading work? If so, then you should look for a system that lets you get started smoothly. It won’t be plain sailing and you should be prepared to blow several banks in the process. At the end of the day, there are ways of betting that suit everyone. By looking at the options you can make an informed decision on what is right for you. Should you make the transition from matched betting to Betfair? Let me know your comments section below. Hi Mike, read your article right through, very good and informative as always. I do scalping on horses pre race on a small scale, do win more than I lose and am only using small stakes. Have not come away from matched betting because that is the way forward. Keep up the good work. I would be happy to carry on matched betting until i drop but my concern is that it will not last that much longer, it only takes some sort of change from the bookies and it could all end so i feel i need to find new avenues to earn a living in readyness. i remember a couple of years ago you made a comment on FB that you thought MB wouldnt last, do you still belive that? It will always be around in some form, it’s a great customer acquisition / retention strategy for the bookies. The offers may not be as valuable in a few years time, but for now they are. Keep on taking action and make as much as possible is the best advise I can give. A good, well written article as I would have expected from yourself. I confess I started with Bonus Bagging, and didn’t go ‘at it’ as I should have done. Came back 2 years later and joined Profit Maximiser, got myself about £12,000 in front. Had a couple of bereavements, parents, & found that I’d just ‘got out of the habit’. Had a go at trading, you’re right it’s REALLY tough. Didn’t make any advancement and lost a little. 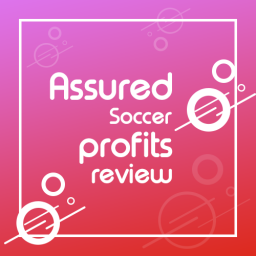 I’ve come back to matched betting, I purchased APS & refound (is that even a word!) my enthusiasm & now I’m really going for it! Matched betting for me, but if someone wants to give trading a go, I would urge them to start with minimum stakes. Great article and BF are gits with their tax activities. So much for tax-free profits living in the UK. I love MB and would choose it over trading all day long. But, what happens when you hit the wall in MB, when you are gubbed across all bookies because damn, you are too good at MB? What are the alternatives? You can always make money from MB. There are new bookies, casinos & bingo houses opening all the time. If you keep your eye on the forums, you can also see which offers that work on gubbed accounts. No reason for the money train to stop. For anyone STARTING OUT, I would recommend matched betting every time. It’s a no lose (only gain) strategy. HOWEVER. It cannot be ignored that your bookie accounts will be gubbed one by one and so your income potential from it will be reduced. Also, there is no denying that bookie offers on sports have become much more selective as time has gone by. 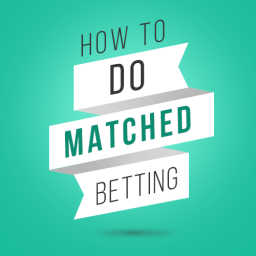 Matched Betting is definitely the way to build a bank with which to do other things (not necessarily trading or even betting at all) but it isn’t going to provide a primary income for any more than a couple of years at most. If you choose to continue betting activities then trading is an avenue to explore but, as you say, it’s not easy and some people simply won’t have the right mind-set unless they develop it. BUT… it does remove you from the whims and mercies of bookies which are the bane of any Matched Bettors life. Am I the only one who feels bookmakers should be forced to stand a bet (and not close accounts on a whim) to keep their licences? Very small wins with William Hill have seen my football accas limited to £7.50, others close accounts yet when I look I am all of £50 or so up over the last six months – surely we can find a way to put a petition together to that effect and make the government take an interest, anyone else feel the same? William Hill are offering a lay to lose guarantee on ITV racing up to £1000 for bets placed after 10AM. That includes gubbed users as well! I know it’s not ideal but at least it’s a start. Can’t comment for trading having not tried it properly, but would agree with Andy above, I think matched betting has a limited lifespan,. for reasons other than the gubbing issue from bookies. No one seems to have mentioned the time you now have to spend for the smallest returns I started in 2012, then £25 plus free bet offers were plentiful and lucrative., the qualifying bets could be simple (No time consuming ACCA’s to qualify) and attached T&C’s less complicated, Now you have to jump through hoops, for the merest £5 free bets and often spend more time chasing bookie via live chats trying to obtain what their offers promise. 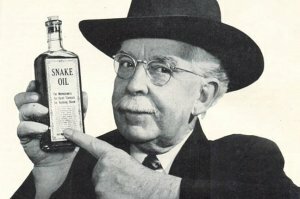 I’m gonna give trading a try with guidance from professionals. There is still plenty of offers that are easy Mark. The Champions League final offers from last week were the best I’ve seen. World Cup offers are also looking very lucrative so far. You can turn your nose up at small free bets, however your profit on turn over will likely be lower with trading unless you are betting hundreds. Very informative read well written by an expert in his field. I recently read a book “Betfair Trading Made Simple” by Caan Berry. This book tried to give you a good introduction to trading but it left me thinking that Matched Betting was still very much my preference. I do sports bets in a very disciplined and controlled manner and I like the way I am able to adjust the profit i.e Underlay to generate a bigger profit when the bet wins. My personal opinion is that MB will always be around to ensure the bookies stay competitive. Paul / Mike, I hope matched betting will be around for time to come, I really do. Maybe things will come full circle as they tend to, want my opinions to be proved wrong. I have done both. 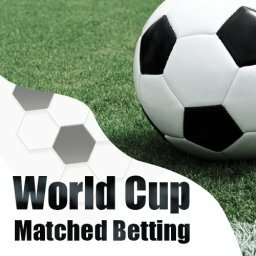 Have been matched betting for over 3 years, and my profit from that is almost £30,000 (almost £2,500 made recently during the World Cup). Bookies don’t seem to give out many free bets these days. Most of my profit comes from price boosts. Now gubbed by a lot of bookies, I feel the income is dwindling. I have been trying to learn to trade the horses for 18 months. Lost over £1,000 in that time. It has taken time, but I have begun to recognise certain trends on the favourite on certain days, and at certain odds. Rules and discipline have to be followed closely. I will continue trading with small stakes because I can see the potential in it. Two things that I have is patience and determination. Trading is not for everyone, whereas with matched betting, any mug could do it (the mugs aren’t interested by the way!). Thanks for the very well written article. Could you please guide me with the steps to do matched bettings?